Jeffries is a fourth-generation, wholly South Australian company focused on receiving, processing and marketing recyclable organic resources. Our passion for organics recycling and the creation of valuable landscaping, garden and horticultural products has given us a reputation as a true green sector company. Our story began in the 1930s, when Fred Jeffries loaded and carted horse manure from Mallala to nurseries in and around Adelaide. His son, also Fred, sourced and delivered soils to the home gardens of Adelaide and the emerging landscape trade. Eventually the local supply of quality loam used by Jeffries to blend their soils began to run out. With increased demand for their products, Jeffries needed to completely review the way they operated in order to move forward. Third generation Managing Director Len Jeffries recognised that the company’s survival lay in manufacturing material to meet the needs of their customers and suppliers. In the early 1980s there was better understanding of the need for material that would both improve soils and assist plant growth. With the increasing volume of green organic material being produced by Adelaide’s gardeners and local councils, Len struck upon the idea of producing soil additives in the form of compost and mulches. Len and the Jeffries team wrote the instruction manual for commercial composting as they went. This process was heavily researched, drawing on worldwide information and experience, in order to produce consistently high quality compost and mulch products using recyclable material and green organics. Jeffries signed agreements with local councils to ensure a regular supply of kerbside green organic material, and the company relocated to larger premises to allow space for processing material and building composting windrows. Since fourth generation Managing Director Lachlan Jeffries took the helm, further improvements have seen the expansion of Jeffries Group including the construction of a multimillion dollar, world class environmental recycling development located on a 125 hectare site at Buckland Park just north of Adelaide. Since 2014, Martin Jeffries has been Managing Director of the Jeffries Group which now employs more than 70 people and recycles over 150,000 tonnes of green organics each year, receiving the majority of kerbside-collected green organics from Adelaide metropolitan councils. 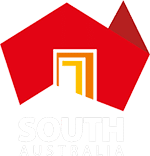 The company supplies quality compost, soil and mulch products to resellers across metropolitan Adelaide, and supplies product to many leading South Australian vineyards and vegetable growers.